Large Trigger Hook in Chrome for straps up to 28mm wide. 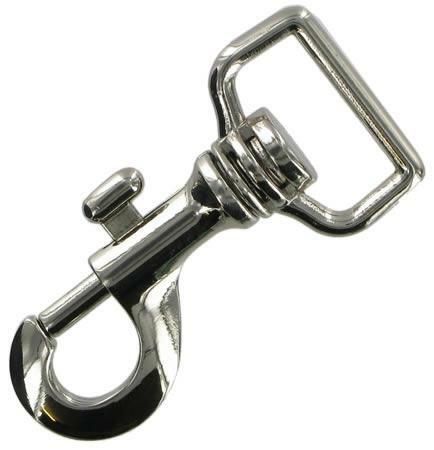 This chrome metal trigger hook is made for briefcase shoulder straps. It comes in chrome finish only and measures 72mm long. It will accommodate a strap of 28mm in width.